Wasatch Photonics’ high throughput design extends depth of view further at 1300 nm by providing high sensitivity and excellent SNR for scattered light from deep tissues. This translates into superior clarity at greater imaging depths for applications like anterior segment imaging. Our industry leading Cobra SWIR spectrometer reduces the tradeoff between imaging depth and clarity using a proprietary high throughput design, thus maximizing the quality of data from features at greater depths and larger scattering angles. The deep tissue penetration achieved is optimal for fundamental research, pharmaceutical testing, and treatment and diagnosis in ophthalmology, dermatology, and angiography, as well as for intravascular imaging. 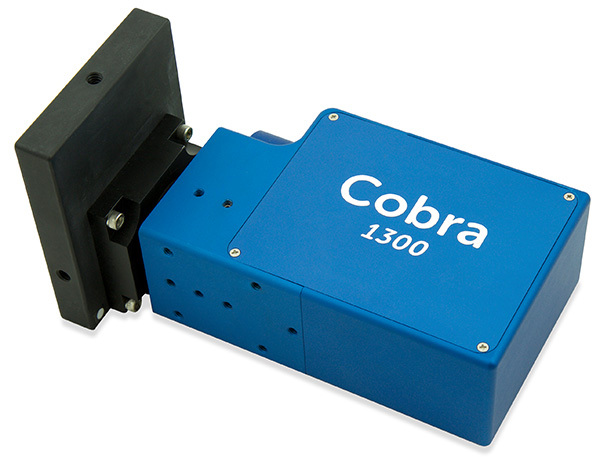 Cobra 1300 short wave infrared spectrometers can be used for OCT imaging in the 950-1450 nm range in research, industrial and OEM solutions. Let our expert team put together a configuration that is right for your application. Contact info@wasatchphotonics.com and let us help you to improve your image. Cobra 1300 part numbers are of the format C1300-[CWL]/[BW]-[kHz]-[camera][pixels], where the Sensors Unlimited GL2048 camera is represented by “SG”, and 2K denotes 2048 pixels.